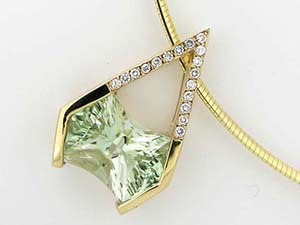 At J. Thomas Jewelers we can custom design the bauble of your dreams. For your pleasure our talented team will work with you to shape your vision and bring your design to life. We’ll make that one-of-a kind piece of art for you to treasure today so beautiful, it will be an heirloom to cherish for generations to come! 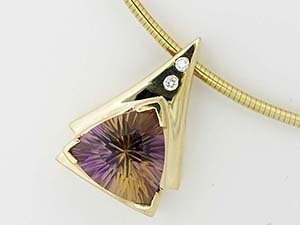 For your convenience, we handcraft each design and remount your beloved gems onsite. Endear your piece even more by using your own gold or gemstones, if not that’s great;, we can also supply the quality materials and colors you need. But that’s not all! In addition to our dedicated design team, our custom design guests gain other exclusive privileges such as access to our wide variety of inventory and precious gemstones at great values. You will be AMAZED at what we can do! Do you have rings that seem dull or dingy after years of love? 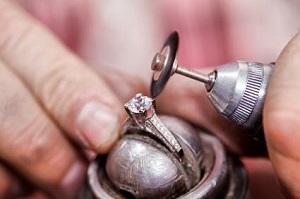 Bring them into J. Thomas Jewelers in Rochester Hills, MI for ring refinishing and rhodium plating. 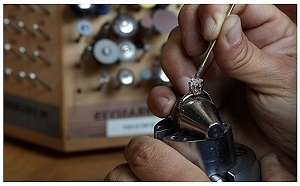 We'll be happy to tighten your gemstones and make sure your precious jewelry is secure. At J. Thomas Jewelers our in-house jewelry repair team is ready to meet all of your needs. With over 20 years of experiance we are skilled at performing everything from the smallest repair improvement to the most intricate fine jewelry reconstruction. Prong retipping, stone replacement, in addition to channel, bracelet and earring overhauls are performed daily. If you have a ring that needs to be resized, We Can Do That Too! At J. Thomas we know you are often intrusting us with your precious items. We pride ourselve in taking our time with you by first having our expert repair team analyze your particular jewelery needs to determine what work needs to be done. Next, all the work to be performed will be explained to you in detail. 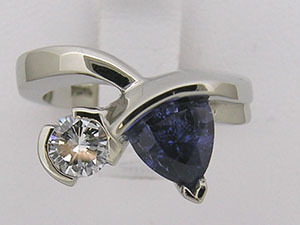 If there are options, we will help guide you to help you make the best decision for you to meet your fine jewelry needs. Booasting our state of the art Laser Welder which enables us to perform sensitive and intricate repairs; no job or gemstone is too small! We love a challenge and our skilled, on-site jewelry repair technicians are ready to bring the life and luster back into your prized pieces. If you feel or hear your gems rattling in their settings or you can see them moving at any time, bring your jewelry in right away! The costs associated with any of the above-mentioned jewelry repair services vary based on the item of jewelry, the time involved, and other factors. Bring in your jewelry today and one of our trained and helpful associates will be glad to help you determine what services your jewelry needs! We recommend every 3 months you bring us your jewelry and have our jeweler inspect the prongs to help prevent any damage or loss of your gemstone. This inspection service is free of charge. If a repair needs to be done, we will give you an estimate before any work is performed. 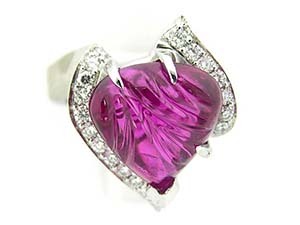 We are happy to provide you with an insurance appraisal on your J. Thomas jewelry purchase free of charge. Our appraisals are performed by a Diamond Graduate. Appraisals on items not purchased from J. Thomas Jewelers are performed by a Certified Gemologist trained by the Gemological Institute of America & the American Gem Society. These appraisals are for a fee.